McDonald’s has agreed to pay $355,000 in civil penalties as part of a settlement with the U.S. Justice Department, to resolve claims that the company discriminated against legal immigrants in the workplace. Along with the cash payment, McDonald’s crop will undergo 20 months of monitoring and train its employees. 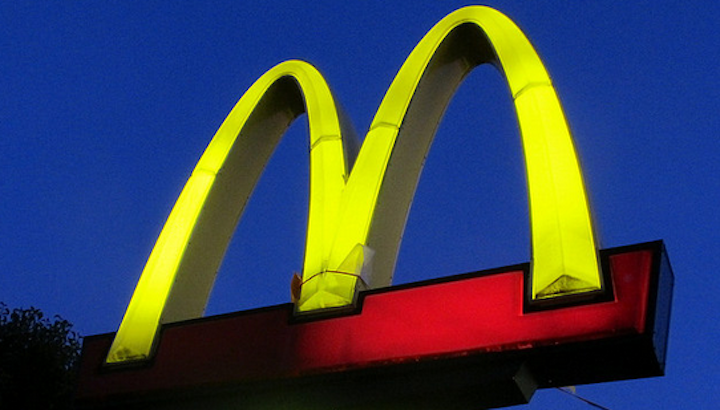 The case only involves actions by McDonald’s, and not its franchises, the DOJ said. “The settlement agreement also requires McDonald’s to compensate lawful permanent resident employees of McDonald’s-owned restaurants who lost work or lost their jobs due to these documentary practices,” the department noted. The investigation into McDonald’s was spurred by information provided on the department’s Office of Special Counsel for Immigration-Related Unfair Employment Practices worker hotline. The department found that McDonald’s was requiring lawful permanent residents to show a new permanent resident card — a “Green Card” — when their original document expired. Some of the permanent residents who couldn’t provide a new card when it was requested weren’t allowed to work, or lost their jobs, the DOJ said. Showing such documentation again is not required by law, and investigators found that the Golden Arches didn’t enforce a similar police for its U.S. citizen employees. Previous Is Your Thanksgiving Turkey On Drugs?